"Jeannie Cho Lee" has rated the wine "2012 Chateau Lynch-Bages, Pauillac, France" from the vintage 2012 on 01.03.2015 with 92 of 100 points.
" An attractive Lynch Bages that combines freshness with concentration. This wine in bottle is much better than when I tasted it en primeur. Attractive cassis and fresh red berries with freshness and ripe, round tannins. Perfumed and pretty on the nose as well as on the palate. " "Gault & Millau" has rated the wine "2012 Chateau Lynch-Bages, Pauillac, France" from the vintage 2012 on 01.06.2015 with 16 of 20 points. "Wine Spectator" has rated the wine "2012 Chateau Lynch-Bages, Pauillac, France" from the vintage 2012 on 31.03.2015 with 92 of 100 points. 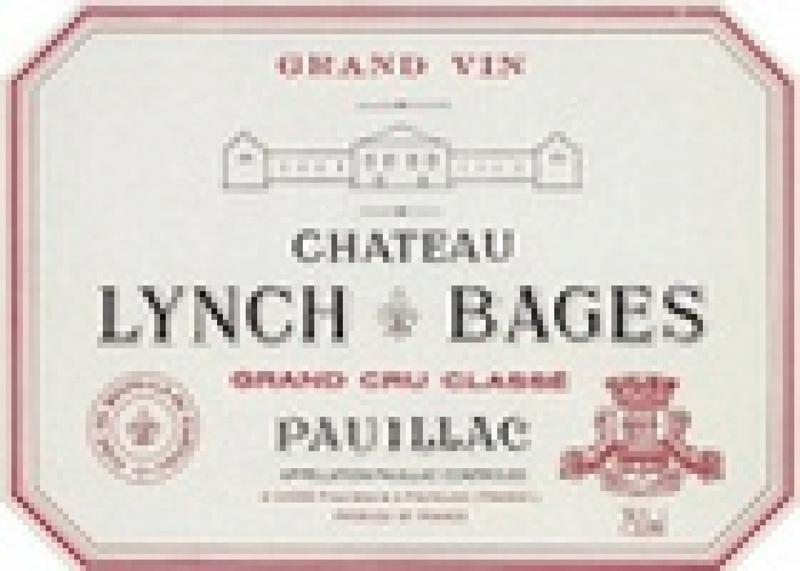 "Jeff Leve, The Wine Cellar Insider" has rated the wine "2012 Chateau Lynch-Bages, Pauillac, France" from the vintage 2012 on 11.03.2015 with 90 of 100 points. "Wine Enthusiast" has rated the wine "2012 Chateau Lynch-Bages, Pauillac, France" from the vintage 2012 on 04.11.2013 with 94 of 100 points. "La Revue du Vin de France" has rated the wine "2012 Chateau Lynch-Bages, Pauillac, France" from the vintage 2012 on 01.06.2013 with 16 of 20 points. "Falstaff Magazin" has rated the wine "2012 Chateau Lynch-Bages, Pauillac, France" from the vintage 2012 on 31.05.2013 with 91 of 100 points. 88 - 91 of 100 Points. "Vinous Antonio Galloni" has rated the wine "2012 Chateau Lynch-Bages, Pauillac, France" from the vintage 2012 on 01.05.2013 with 88 - 91 of 100 points. "Tim Atkin" has rated the wine "2012 Chateau Lynch-Bages, Pauillac, France" from the vintage 2012 with 93 of 100 points. "CellarTracker" has rated the wine "2012 Chateau Lynch-Bages, Pauillac, France" from the vintage 2012 with 91 of 100 points. "Stephen Tanzer" has rated the wine "2012 Chateau Lynch-Bages, Pauillac, France" from the vintage 2012 with 88 - 91 of 100 points. "Vinum Wine Magazine" has rated the wine "2012 Chateau Lynch-Bages, Pauillac, France" from the vintage 2012 with 17 of 20 points. "Bettane et Desseauve" has rated the wine "2012 Chateau Lynch-Bages, Pauillac, France" from the vintage 2012 with 16 of 20 points.